NASA has given the green light to an extension of the current mission to the Kuiper Belt. After the historic flyby of planet Pluto last year, New Horizon spacecraft will perform another one within the belt. The next destination is called 2014 MU69, a mysterious Kuiper belt object located one billion miles away from the dwarf planet, which should be reached in 2019. NASA scientists also plan to visit 20 more objects afterwards, or at least this is what mission investigator Allan Stern has said in April. The space agency reassured us that the probe is fully operational, and could last 20 more years. The tiny craft will continue to collect scientific data deeper into the Kuiper Belt. Mission members acknowledged that Pluto flyby exceeded their expectations as they are still surprised by the data gathered back then. New Horizons data challenged past theories and computer models suggesting that Pluto is a cold dead world. In fact, the mission revealed that Pluto is geologically active under its icy crust and looks a lot more diverse than scientists have managed to imagine. NASA’s Jim Green expressed his excitement over the extended mission to the “dark depths of the outer solar system” and explained that scientists had no knowledge of object 2014 MU69’s existence in 2006, when New Horizon was launched. Among Kuiper Belt’s denizens, scientists explained, lie Pluto, comets, icy moons, and possibly other dwarf planets awaiting to be discovered. Pluto was relatively easy to spot as it is located on the outer reaches of the belt. Dan Britt, a physicist from the University of Central Florida, described a mission to the Kuiper Belt as a “great frontier” of planetary science. Britt was recently picked to become a New Horizons science team member and study the new objects that will be discovered within the Kuiper Belt. He is now analyzing the geology of several icy leftovers inside the belt. Scientists believe that the space rocks there may hold important clues to the creation of the solar system. On Friday, NASA approved extension of other deep space missions including several Mars missions and a probe designed to orbit the Moon. Dawn spacecraft was ordered this week to continue its trip around dwarf planet Ceres. NASA scientists had hoped to move Dawn to an asteroid called Adeona since it has orbited Ceres for four years now. 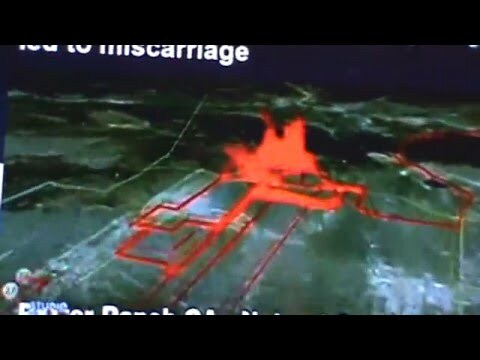 Infrared image of the Porter Ranch methane leak. NASA reported that the methane leak from Southern California was registered from space. Satellite data from January revealed the leak from beneath a Porter Ranch mountain, showing the magnitude of the greenhouse gas emissions. NASA satellite Earth Observing-1 passed three times over the Aliso Canyon and registered the methane leak. The spaceship had a Hyperion imaging spectrometer that measured shortwave infrared marks of CH4. The satellite recorded the methane leak on three different occasions, and scientists managed to map its magnitude and morphology. The orbital measurements were validated by the information captured by airborne instruments. Researchers have now the proof that space observations could contribute to further methane leak detections. The percentage of methane released into the atmosphere through human activities has not been determined yet. Scientists feel confident that future orbital instrument may be able to complete global surveys of massive CH4 emissions. Methane was proved to be 25 times more dangerous than carbon dioxide when it comes to climate change. The accident was discovered in October 2015, and in January 2016 the governor issued a state of emergency. By February 2016, the gas leak was reported to be under control. The methane leak was responsible for health problems in thousands of residents, ranging from nosebleeds to nausea and headaches. More than 6,400 families were relocated because of the dangers of the gas leak. However, public health officials declared that there will be no long-term effects. The accident was estimated to have contributed to a quarter of the state’s methane emissions, which would make the event the worst environmental disaster since the 2010 Gulf of Mexico oil spill. The responsible company will have to pay the costs of capping the well, family relocation, as well as added penalties from government agencies, expenses to mitigate pollution and other potential damages. Sempra Energy has now more than 65 lawsuits filed on the issue. The leak took place in one of the 60-years-old wells at the base of Santa Susana Mountains. The wells were first used to store oil, and after the oil deposit ran out the company continued to use them for methane storage. There are 115 wells in the area, and people are reluctant in returning to their homes as there are no guarantees that the other wells are safe. During the accident, more than 97,100 tons of methane and 7,300 tons of ethane were released in the atmosphere. NASA announced on Friday the new proposals selected to receive funding under their NIAC program. These new unbelievable projects involve terrifying cryogenic chambers and artificial growable habitats, but also more technical issues like an innovative propulsion system or the plasma shell. Although the aim of the researchers is to find new and better ways to set up the long-desired trip to Mars, all these selected unbelievable projects will impact space travel to all conceivable destinations. Scientists will try to prove that ideas only written in the Sci-Fi books are both valuable and feasible. As travelling to Mars will take up to 9 months, scientists came up with an idea on how to minimize the material troubles on such a long travel. Therefore, they will try to keep astronauts deeply asleep and fed with intravenous substances while lying still in low-temperature chambers. Landing the surface of a planet can be risky because of the friction between the surface of the ship and the atmosphere. The famous nuclear engineer David Kirtley proposed to use plasma layer to protect the ship. Based on the study of a spider’s web, the new habitats will consist of series of strings, rotating outposts, sticks, and platforms. Robert Skelton named his new concept “Tensegrity”, and it should adapt according to pressure and thus shift the diameters according to weight and force. A billionaire is funding a scientist to find new ways of speeding space travelling. The physicist decided to use a laser to enhance the speed. All experiments will involve small sized starships, and hopefully, the results will prove to be useful to other long-distance space travels as well. As NASA’s plans are more and more ambitious, help from great minds is highly welcomed. Thus, this year unbelievable projects have been awarded up to $500,000 grants each. The phase one of the projects gathered 13 project ideas out of which only eight were decided to be followed through and tested. The projects are all in early development phase. It is estimated they would need another ten years work time to mature and be included in a real space mission. The steam engine was invented during the industrial revolution. NASA just announced that a new type of space colonization spacecraft might be used in the future lunar and Martian missions. A couple of think-tanks working for the North-American space agency have put together a plan that can potentially revolutionize the way we look at space travel. A steam-powered vehicle will help Mars and Moon colonization. As unlikely it may seem, NASA is actually planning to use water in order to launch vehicles into space. Remember, the first locomotive or the steam engine tugs on Mississippi? Well, it looks like the space agency is planning on dropping the whole rocket engine design, replacing it with a steam-powered one. The scientists that are working on this project also called the “Swamp Works,” stated that water is probably the most versatile element found out there. You can drink it; you can use it to power different gizmos, and you can probably use it as a radiation shield. So why not use it for space travel? According to their plans, NASA engineers are thinking of building steam-powered vehicles that can outmaneuver any spacecraft currently available, without consuming so much fuel. In theory, a steam-powered spacecraft or an exploration rover could bridge distances of over 30 kilometers on a single tank. Furthermore, considering that the latest research shows that the lunar poles contain water in abundance, the process of colonizing the Moon might get a whole lot easier if we rely on steam-powered engines. So, how does such a machine work? If you remember, a steam-powered engine works like this: when water comes to a boil, it produces the pressure required to move up and down the cylinders and pistons. The up and down motion produced by the mechanism is translated further to the machine. NASA’s project is far simpler than this. Instead of letting the pressure build up inside the machine, the engineers want to use huge nozzles in order to vent out the steam. When the steam is vented from a port, the spacecraft moves forward or changes direction. The applications of such a device are numerous. For example, if the project proves to be feasible, NASA can stop carrying water from Earth and start mining it on the Moon. Olivier de Weck, a professor of aeronautics, currently teaching at MIT, has stated that if NASA moves ahead with the plan, a ship’s payload will be reduced by 68 percent if it stops carrying water from Earth. But NASA doesn’t want to stop here. Based on their calculations, a trip to Mars with an Apollo-style spacecraft, which is basically a “pack everything including the kitchen sink” concept, is far-fetched. A lunar base, on the other hand, might help astronauts reach their designated target in no time. In fact, by 2030, NASA wants to set up a 3D printed village on the Moon, using mostly materials found on its surface. And it would seem that these steam-powered machines will play a crucial role in pulling off this stunt. But this is not the first parachute test performed by SpaceX. In the last month of 2013, Elon Musk’s program performed an early drop test for the landing mechanism. The test that was performed then did not include the modification made for human transport. It was just meant to see how the parachutes react in real-life conditions. The Dragon Crew module was designed afterwards. The 2013 test included only three main parachutes and two drogue ones. Since then, the Crew Dragon received four main parachutes in order to make the descent more stable. If Planet Nine exists, it needs a name inspired by Roman mythology. NASA says Planet Nine is not real, for now. According to the planetary sciences director at the National Aeronautics and Space Administration, Jim Green, Planet Nine is still just a theory devised by the researchers at the Institute of Technology in California. Upon analyzing the region of space where Pluto resides, the Kuiper Belt, the researchers from the Institute of Technology in California discovered a strange movement of the icy celestial bodies in the area. They seemed to move in a way which suggested a gravitational pull somewhere in the close vicinity. 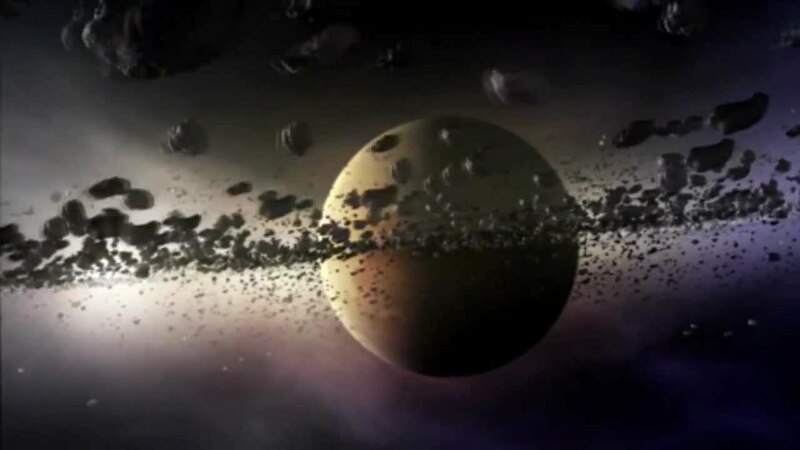 By using specially created computer simulations in which they imputed the data they have found, the researchers discovered that the gravitational pull from the Kuiper Belt that affected the debris and icy bodies must come from a planet. Upon further analysis of the data generated by the computer simulations, researchers at Caltech established that the planet is farther from the Sun more than twenty times Neptune is. This would translate into the fact that Planet Nine, how the team of scientists hurriedly named it, would make an orbit around our solar system’s Sun in about 10,000 years. The scientists added that the probable mass of the new planet is 10 times bigger than that of the Earth. Even though computer simulations are designed to render accurate data predictions, NASA says Planet Nine is not real, for now. Jim Green, the planetary sciences director at the National Aeronautics and Space Administration explains that the planet is still just a theory at the moment because the simulations and mathematical modelling used to determine its position are not enough evidence for the planet’s existence to be scientifically proven. Jim Green adds the fact that the planet may be real, but the scientists, which published a paper on the 20th of January revealing all their findings, need solid scientific proof. Green says it will not prove to be impossible to present such proof. The Caltech researchers only need to point a massive telescope, such as the Subaru Telescope that is located in Hawaii, in the area in which they believe the planet resides and wait a couple of months for the telescope to capture some movement. The task is made difficult by the icy debris and bodies that lie beyond Neptune. If Planet Nine really is real, it would be the third planet discovered since ancient times. The other two were Uranus and Neptune. You can watch Jim Green’s explanation in the video below. NASA is presently designing a flying saucer for manned mission of Mars. The new spacecraft is a part of NASA’s Low-Density Supersonic Decelerator (LDSD) project. It is nearly 7000 pounds heavy and 15-foot wide. In June 2014, NASA performed the first test flight of LSDS mission. The government space agency tested Supersonic Inflatable Aerodynamic Decelerator (SIAD) and a supersonic Disksail Parachute together in the mission. Sadly, the parachute failed to deploy appropriately during the test. As per the recent blog post of NASA, the LSDS project will allow researchers to test two new technologies on Mars surface the technologies will permit spacecraft to land safely on higher-altitude. It will also enable scientists to send heavy payloads on the surface of red planet. The chief objective of the mission is to explore difficult regions of Mars. Generally, the dense atmosphere of the red planet makes exploration a complex task for scientist. Recently, NASA announced that it has planned to lift off a saucer shaped rocket in June. The spacecraft will take off from NASA’s Navy’s Pacific Missile Range Facility on Kauai. NASA’s Dawn spacecraft is all set to touch the surface of Ceres on 6th March. Presently, the space probe is only few inches away from the dwarf planet. The Ceres is the largest object present in the asteroid belt. The dwarf planet was first discovered in 1801. It is located between the orbits of Jupiter and Mars. It is entirely composed of ice and rock particles. Dawn has snapped new incredible images of Ceres. The images reveal presence of two mysterious craters with bright spots. However, astronomers believe that the craters are an outcome of changes in surface. Nonetheless, it is too early to say anything with surety. Jim Green, a scientist of NASA’s planetary department, informs that investigation of Ceres will permit scientist to carry out historical space research. The information will begin a new chapter in the history of solar system. Up till now, the spacecraft has captured numerous navigational images of Ceres. This is the first time when scientists received such high resolution images from any spacecraft.